Do You Know Mike Fabulous? Fabulous.com, founded in 2000, is a premium domain service for domain professionals. While Fabulous provides retail registration which is open to everyone, premium service members focusing on domain monetization gain access by invitation or by meeting a strict set of criteria. Mike Robertson, aka Mike Fabulous, is the Business Development Manager at Fabulous and has been with the company since 2002. Mike resides in Brisbane, Australia. He took some time out of his busy schedule to answer a few questions for me. Sullivan: How did you get your start in domaining and monetization? Was this something you were involved with prior to joining Fabulous in 2002? Robertson: This is actually my first job out of University. I studied a Bachelor of Business Marketing, and after graduating, I moved to Brisbane looking for a job in advertising/promotions. I ended up applying for a sales role at Dark Blue Sea (the parent company of Fabulous.com). To be honest, it took about 6 months before the light bulb went off and I then understood the business model and what they were trying to achieve. 8 years on, and climbing my way up the corporate ladder, I think of my decision to join DBS as one of the best decisions I’ve made in my life. Sullivan: What makes Fabulous different from other registrars? What attracts domainers to your services? Robertson: Fabulous was originally designed to service our own internal portfolio, which at times has been in excess of 500K domains. Our platform offers many bulk tools that make managing a portfolio of any size easy. Add to that, industry leading security (we’ve never lost a domain), competitive wholesale pricing, a monetization platform, aftermarket sales solution (the Domain Distribution Network), and you have a “one stop shop” for all your domaining needs. Another aspect which makes us the registrar of choice for many domain professionals is our dedication to the industry, offering first class products and our unparalleled customer service. We must be doing something right, because we’ve won the TRAFFIC Best Overall Domain Solution, which is voted by industry peers, three times now (2004, 2006 and 2008). 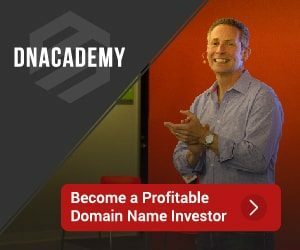 Sullivan: I’ve sold a domain through Fabulous’ Domain Distribution Network, which provides excellent sales exposure for domains. Can you talk about partners in the network and the benefits it provides to sellers? Robertson: DDN is partnered with most leading retail registrars to offer aftermarket domains as part of the inline registration path (via exact match results and spun suggestions) – a complete list of participating registrars can be found on our website at www.DomainDistribution.com. In short, DDN takes the headaches out of lengthy negotiations and the transfer process which often takes weeks-to-months to settle, while also providing a valuable sales channel to get end-user eyeballs on your domains for sale. Fabulous also offers is an Expiring Domains Program, which allows domain owners to list their expiring domains on NameJet. This is an opt-in program, and owners receive 60% of any domains sold via this platform. Sullivan: What do you think the future of domain monetization will be? Is it parking or are there other evolutions taking place? Robertson: I think in the coming months to a year we will continue to see innovation in the monetization space. Companies have had to diversify from traditional PPC models, as seen by WhyPark, Smart Name Shops (semi-development), Elephant Traffic, Sendori (pay per redirect), Octane360 and Root Orange (local). I believe that PPC will still have its place in the industry and I know for a fact that Google are committed to the domain channel and are constantly making improvements, optimizations and innovations themselves which will hopefully give parking a much needed boost. One aspect of monetization people are now adopting more and more is domain sales. Sullivan: What is your take on the new TLDs we see being proposed and surfacing? Is this good for the industry? Any chance of .com becoming devalued? Robertson: In my opinion .com has no real need to worry, as it will always be considered the numero uno domain extension. Personally, I am sceptical of all the new TLDs and think the only real chance they have of longevity is if they are adopted by end-users/Fortune 500 types. The only real traction an extension is going to get is if the population see these TLDs being used in huge marketing campaigns. I bet if you asked your Average Joe to list as many TLDs as they could, they would struggle to identify any more than 5. What I found most surprising on my last visit to The States, was that companies were now using Facebook and Twitter URLs in their marketing campaigns, especially TV advertising. So if anything, .com should be more concerned about social network sites than new TLDs. I do however value ccTLDs and believe the industry will see a lot more growth in these markets in the coming years. For those that read DNJournal’s weekly sales report, they’ll already know that ccTLDs are starting to make a splash on the charts. In the last 12 months we have been running an .au drop service, aptly called Drop.com.au, so I’ve seen firsthand the growth this particular ccTLD has made recently. Sullivan: What does a typical day in the life of Mike Robertson entail? What are your responsibilities at Fabulous.com? Robertson: I usually start my day at about 6:30am; checking emails on my Blackberry that have come in overnight and mentally prioritizing any important/urgent messages to action as soon as I get into the office. I like to get into the office relatively early so I can still catch the US end of day, and schedule any calls I need to make. Once the dust has settled, I spend some time reading blogs and forums. The rest of the day is usually spent finishing off emails, day-to-day tasks and usually involves impromptu meetings to discuss current projects on the go. My responsibilities? I basically manage larger existing accounts, while also developing new business and expanding Fabulous’ client base. We are constantly receiving customer feedback/suggestions, so I also spec these for development. I also look at monetization opportunities/optimizations to better the Fabulous parking program. We’re lucky to have our own large portfolio we can run tests on, and if changes/additions we make improve monetization, we will then roll this out and make it available to customers. Often I will receive sale enquiries on domains we have in the DBS portfolio, and I will go through the entire sales process, including putting together a list of potential names, negotiation and fulfilment. Most recently, I’ve inherited two new tasks – one being the face of DROP.com.au to the overseas market, and two, managing new accounts for our soon to be launched Registrar and Reseller software solution, Yexa.com. On top of that, I travel to the States a few times a year to represent the company at various conferences. This perk never gets old. I really enjoy getting out there and meeting our customers, and often making friends along the way. The frequent flyer miles are also nice! Sullivan: Do you personally own any domains as investments or developed sites? 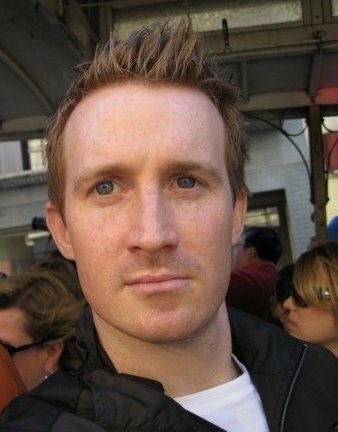 Sullivan: Aside from being the face of Fabulous.com and being quick to respond to customer needs on the domain forums, who is Mike “Fabulous” Robertson and what is your life like outside of domaining? Robertson: Growing up with three brothers, we were all very active kids, playing a variety of sports. So in my free time, I still like to keep fit, to me it’s pretty important, especially when I sit at a desk Monday to Friday. I played soccer (football) from a very early age, and these days still play in a social indoor competition, as well as a mixed beach volleyball team. I also enjoy going to live concerts/gigs whenever I get the chance as well as travelling, usually if I go to a conference I like to take a few days either side to explore the city. It’s funny, I’ve actually seen more of the United States than I have of Australia! Great interview! But then what else could it be with somebody as Fabulous as Mike! would have liked to have seen the list of domains he owns. I’ve Got A Domain Name, Now What?